Weather in the city of Escondido can be warm throughout the school year. 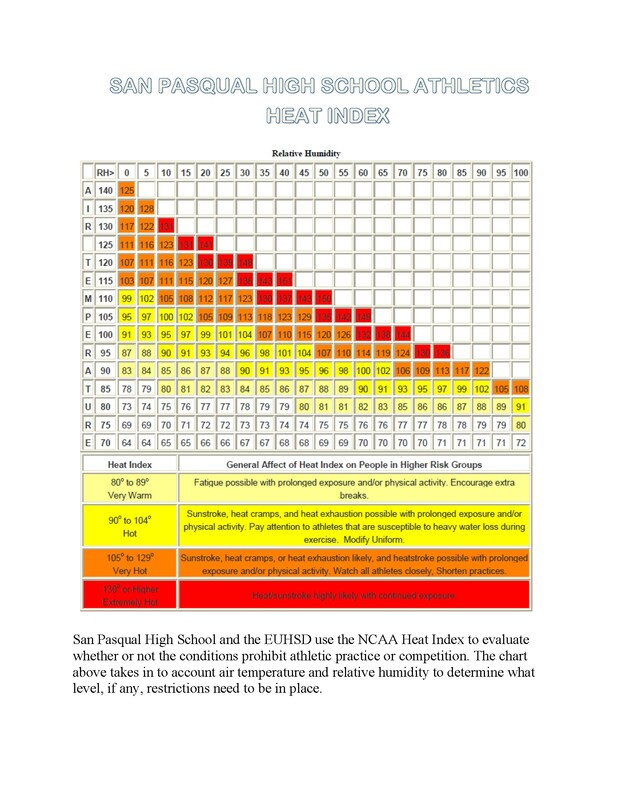 When temperatures begin to climb, the San Pasqual Athletic Department and Athletic Trainer consult the district approved Heat Index (posted below). All coaches in the EUHSD are trained in CPR/1st Aid, response to heat illness, signs of sudden cardiac arrest and concussion awareness. Once a determination has been made that practices and/or competitions must be modified or canceled, coaches are notified by the Athletic Director or SPHS Administration.